across a powerful inspirational message..."
"...thank you for taking the time out of your busy lives to offer us your insight and share your experiences and journey’s with us all. I am sure that I can speak on behalf of my staff and myself in saying that we all left this experience with a greater understanding of the LGBTQ community. I again appreciate your knowledge and experience and will be certain to pass along the information and resources shared. " ... You were in your zone last night. The way you communicated, information you shared and your confident style was very helpful to our community and those who want to understand us better. Your understanding of the whole (transgender) person's needs was effectively presented. It's a real skill to get to the core in short period of time. The questions that followed were evidence of the success of the whole program last night. Thanks for your participation. "...Recommend this workshop to parents to inform them...very enlightening...thanks for being so open... your strength and courage has made life for students that struggle with gender identity better...very educational and clarified misconceptions..."
"...got the information that I have been trying to find for a long time...encouraged all kinds of questions...very enjoying and inspirational...Seth made us believe in ourselves...he could connect to us...he was open and honest...best workshop by far this weekend..."
"Thank you Seth for being my go to person when I am looking for additional support for our young people and their families, as well as professional development for my colleagues. Your professionalism, insight and experience is conveyed in a warm and direct manner. You have contributed significantly to educating the RBRHS community and to ensuring that our youth, who identify as Gender nonconforming and Transgender have equal rights to health, happiness and safety as their peers. I know we will continue to look to you for support and guidance when assisting our students and their families." "Had one of the best days of my life at the GSA Summit today! And I really enjoyed listening to what Seth had to say about transgender stuff. Couldn't have had a better day! " "Thank you so much for all the information last night. And more importantly, my son went to school today! 100% attributable to you and your no-nonsense (not from the mouth of his mother) talk. Proof positive that you really can make a difference ." thank you for sharing your story and for your honesty! … it will help them relate better to our trans students and help them to be more open-minded and compassionate." "...I would like to thank you for presenting at our Education Partnership training. You were an amazing speaker and we thank you for dedicating yourself to educating others so that LGBTQ Youth feel supported in their schools, families, and communities. The information received was invaluable and we are forever grateful..."
"You did a great job today! Thanks again for your very helpful presentation. It was exactly what our staff needed to better understand transgender issues and what middle school kids go through when facing questions of gender identity. " "Thank you so much for getting Danny into the transgender group. He needs this group and loved it so much. He talked about you the whole ride home and I couldn't be more greatful to find people that make him feel he's not alone. I can't thank you enough." "I just wanted to say thank you so much for speaking to my colleagues and I yesterday afternoon at Barkalow Middle School. I felt that it was extremely informative and helpful for everyone to hear. As a social studies teacher, I always tell my students that "knowledge is power." Maybe if people were more educated then there would be less hate. Please keep up the great work! And thank you again for your time." "...I just want to say thanks to you for being a guide for a school social worker needing information about resources for a student. It is valuable to know that we can turn to you and connect you with school personnel on the front lines..."
In today’s educational environment, it is invaluable to have a strong advocate for the ​​transgender community that is willing to provide support and guidance for parents, students and educators. Seth Rainess not only possesses expertise and understanding of the Trans* community, his devotion and empathy is clearly recognized throughout all his endeavors. Our experience has been enriching and we will continue to look to Seth for guidance and collaboration in the future. 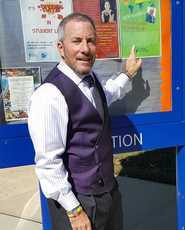 "...Knowledgeable about current trans youth issues...provided very practical and useful advice...Seth is good with teens...very engaging speaker; highly recommended..."
"﻿Seth recently attended a faculty meeting at our middle school. 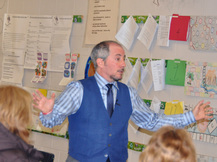 His presentation on issues in the trans community was extremely informative and helpful to our school staff. Seth’s presentation style is dynamic and engaging. His honesty and candidness was very much appreciated. Seth provided our staff with a greater understanding of the terminology in the trans community and provided clarification on several other issues. Seth’s knowledge, understanding, and experiences were evident as he spoke to our staff. Without reservation, I would recommend having Seth speak to your organization." "Just wanted to thank you for the terrific job you did yesterday speaking to our faculty. Your presentation was fantastic. Our faculty was moved by your openness and your ability to communicate thoughts, feelings and facts in a non-threatening manner. Each left with increased knowledge and a greater understanding of what our students and families face. The feedback was VERY positive and people were still talking about it today." "... he puts his listening audience in great comfort and ease while discussing a difficult topic...enjoyed his honest a forthright approach to a sensitive topic...Students, parents and the community could benefit... got more insight as to how it must feel to 'live' in the wrong body...provides relevant information and is a role model...now more aware of the tremendous struggles of trans teens...get him back to speak to our student body!" 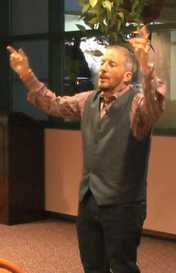 "...great, calming presence...wonderful resource for trans and cis youth... inspirational and encourages everyone to be themselves...direct and honest...make him the main event and give him more time...willing to help others understand trans people..."
"Thank you for being such an excellent Keynote Speaker at our GSA Summit for local schools! 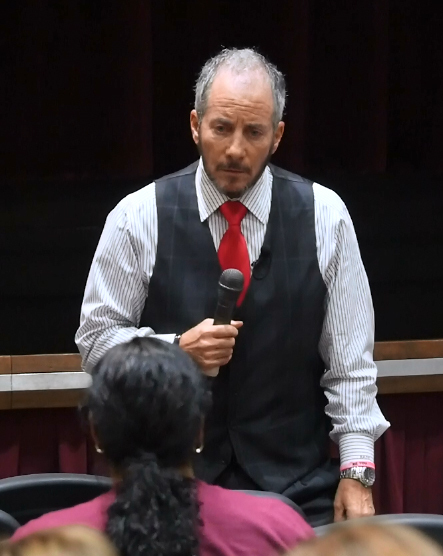 You put across a powerful message and provided the audience with insight and a more comprehensive understanding of trans* issues. 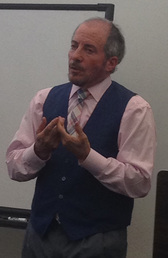 Your straightforward presentation and openness to answering questions was refreshing and inspirational for the crowd. The students loved hearing about your experiences and found you to be very genuine, while the school staff-attendees felt they left the presentation with the knowledge and awareness needed to better address the needs of their LGBTQ students. Thanks again! " "His information was invaluable. He made everyone feel at ease, which is sometimes difficult when discussing this topic. I was extremely impressed with the wealth of knowledge and resources shared with us. It is the first time that the PE Dept. asked questions and seemed interested. Sometimes it is difficult for some teachers to understand the transgender student. Thank you Seth so much for helping our district learn what is important when transgender students need our help." 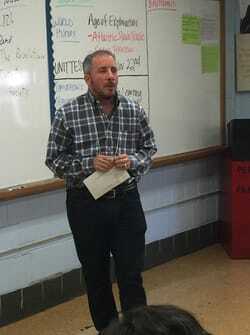 ​"We wanted to offer you our sincere appreciation for taking the time to present at this year’s GSA Forum last month. The entire conference was so uplifting and empowering and leaders such as yourself added to this year’s success. We appreciate presenters like you who can bring a wealth of knowledge and information and respond so well to those in need of resources and community. "